Events, empires and characters from the history were always a great source of inspiration for the companies devoted to the slot machine development. This time, the WMS firm made a game titled Spartacus Gladiator Of Rome, obviously inspired by the well-known gladiator by the name of Spartacus. WMS is a company that was established over 40 years ago, and has been releasing casino games ever since then. They joined the online gambling industry very early, in the 90's, when it basically started. Even though their success was huge even in the land casino era, they managed to come up as one of the best companies in the world in the online industry, by making some of the greatest slot machines. No one has ever doubted WMS’s integrity and they just keep proving how appreciative they are for all the support by managing to improve the quality of their games after all the years. For those who are not familiar with online slots that have the colossal reels implemented, the name pretty much explains it, as it is a huge additional table, with a lot of rows and usually five reels. Even the regular table has an additional row compared to the classic 5 by 3 structure. It was required in order to fit all 100 paylines. The colossal reels are divided into 60 fields with 5 reels and 12 rows. Two tables bring the 95.94% RTP, which gives the house an edge of little over 4%, which is acceptable in the community. Everything that gives the house over 6% is either bad or has a great reason for it. 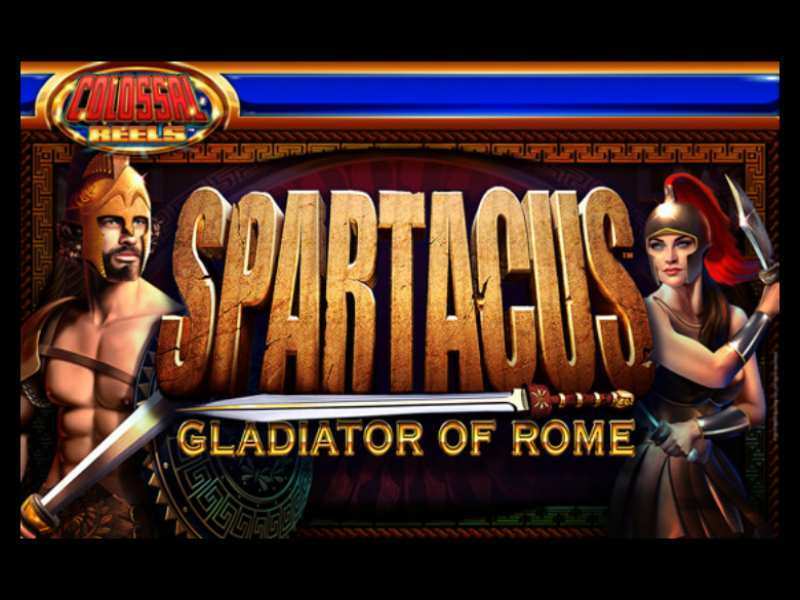 Spartacus Gladiator Of Rome slots appeared in the UK at first, but spread across the Europe and rest of the world in no time, because of the additional features. The main one is the expanding symbol addition, which allows special signs to spread across an entire reel, awarding the highest rewards. 20 free spins with the x20 to the wager, awarded immediately. Considering that the highest possible stake is $250,00, getting $5.000,00 for five or more scatters is an unofficial jackpot for some high rollers. Those three steps became a must-do bundle in the modern real money slot gameplay. The only difference between the free and real mode is that the free version requires no download, and uses demo coins. The real money one, however, requires all players to make an account and invest cash to begin. The second and the third step may be skipped, however, by using the no deposit bonus to play Spartacus Gladiator Of Rome online for real cash. Simply sign-up and claim the bonus by clicking on a specific link provided by the casino, or by verifying the e-mail address used. It is automatically awarded in some cases, right after the registration is finished. Even though the maximum available stake is very high, the lowest amount that needs to be spent in order to spin once is $0.01. It never goes lower than that in any slot machine, and low bettors love seeing it. Keep in mind that all bonuses have withdrawal requirements, so going through the list and reading everything is always a good idea, before requesting the payout or even before switching to the real version. Fight against other gamblers for the jackpot award, which is available in some online casinos. The great thing about the majority of the jackpots is that the stake you decide to play with does not affect the chances of obtaining it. Both high rollers and low bettors have the exact same chances of triggering the prize and becoming rich in a matter of seconds. If you like playing free Spartacus Gladiator Of Rome casino slot machine, then you should definitely try the Gladiator slot, made by Playtech. The game extends the upper betting limit to a thousand and has unique and standard special features implemented. Both games are mobile-friendly, meaning that players can experience the same gameplay on their smartphones, PCs, Macs, tablets, etc. All popular online casinos have well-optimized websites as well, causing no issues to those who decide to register, play, withdraw and even claim bonuses on devices other than the computer. 0 responses to "Spartacus Gladiator of Rome Slot"